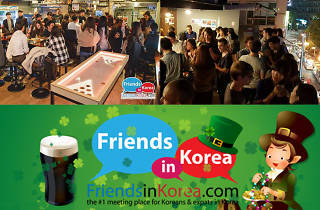 St. Patrick’s Day is just another perfect excuse to drink up and party up at Hongdae’s Playground Rooftop Café & Bar! 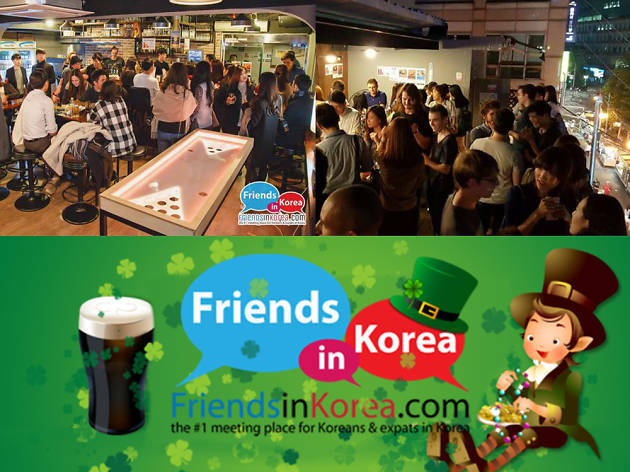 All you need is 10,000 won and you will be handed one free green bottle of Heineken (or Long Island Iced Tea or another drink of choice). There will be a variety of side-dishes like nachos and fries to fill your alcohol filled stomachs. All attendees will also receive a ‘Party Stamp Card’ which can be used as discounts! The usual games like foosball, beer pong, Nintendo Wii, etc. will be available.